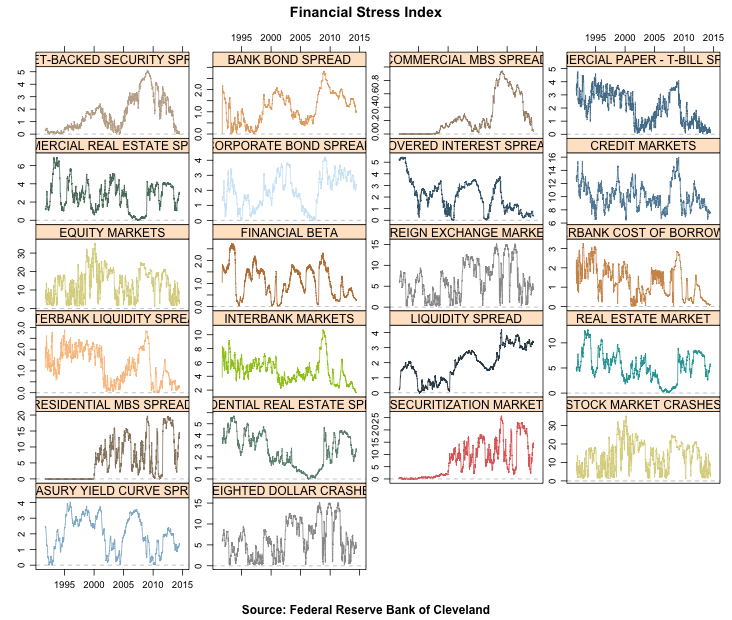 Fetch and plot financial stress index and component data. 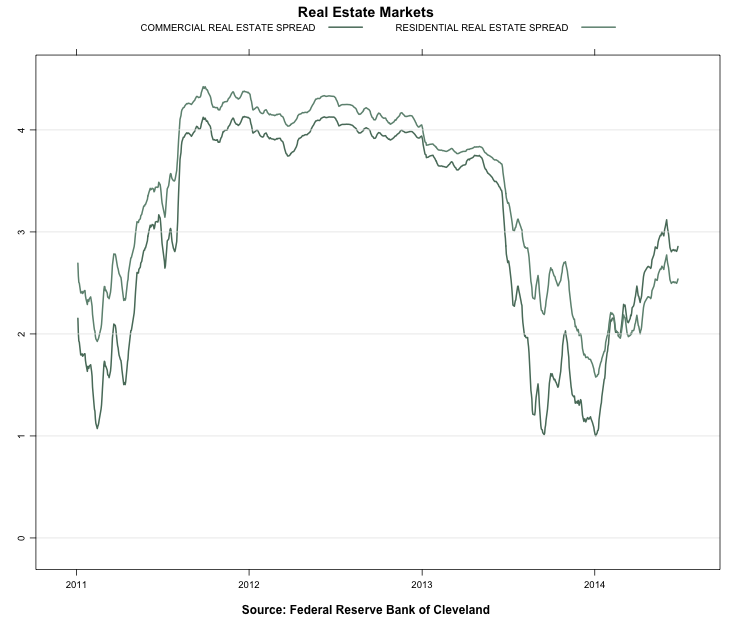 Forms queries to submit to the Cleveland Federal Reserve Bank web site's financial stress index data site. 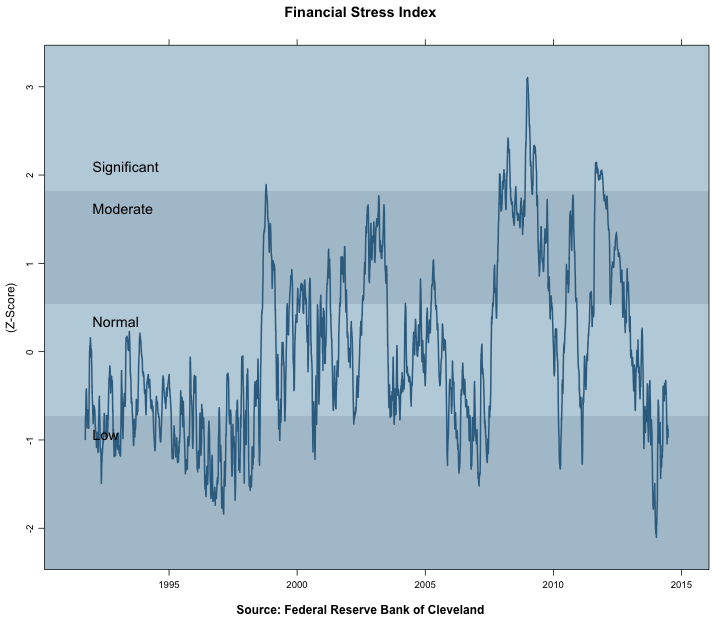 Provides query functions for both the composite stress index and the components data. 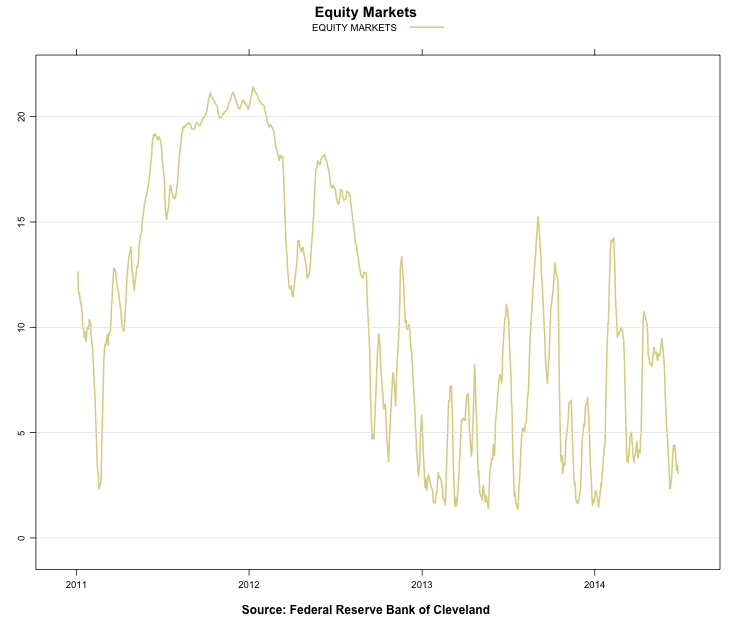 By default the download includes daily time series data starting September 25, 1991. 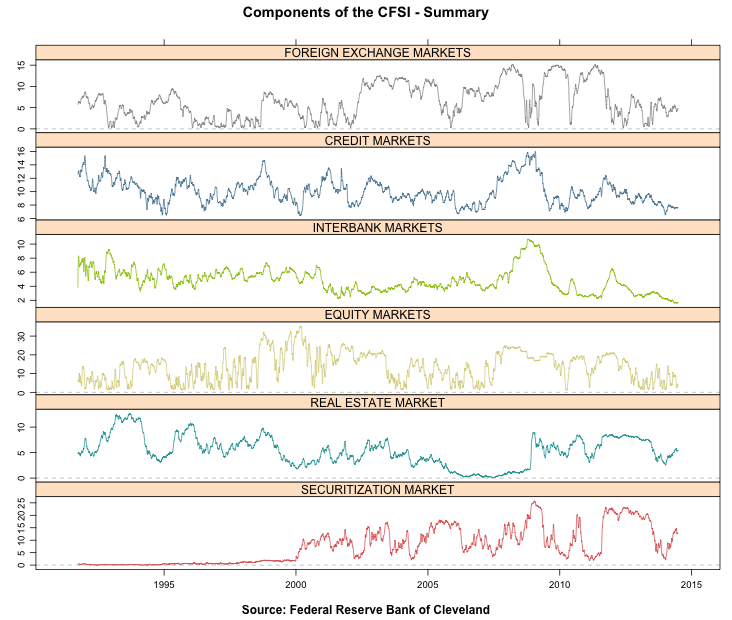 The functions return a class of either type easing or cfsi which contain a list of items related to the query and its graphical presentation. 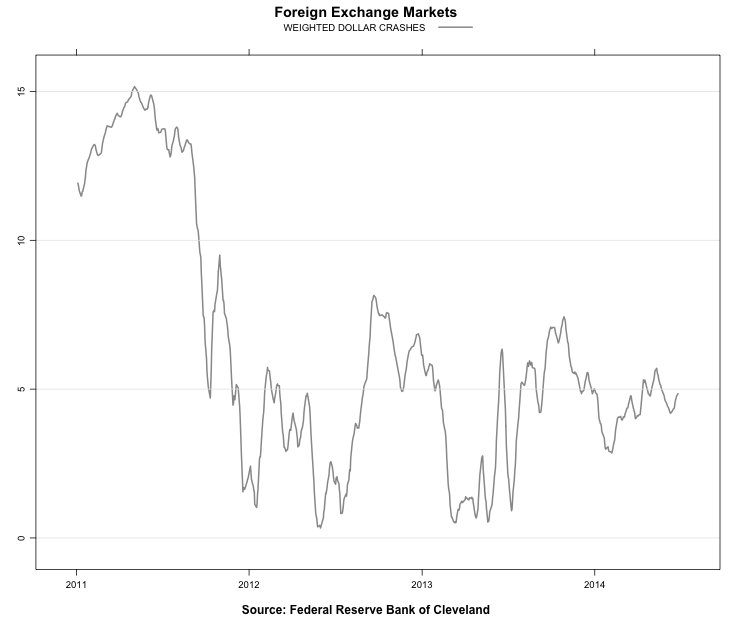 The list includes the time series data as an xts object. 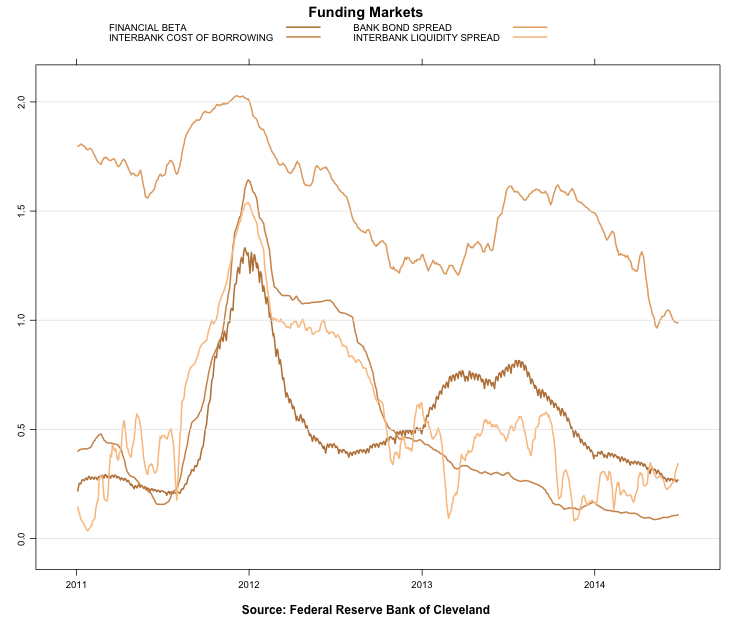 The package provides four lattice time series plots to render the time series data in a manner similar to the bank's own presentation. 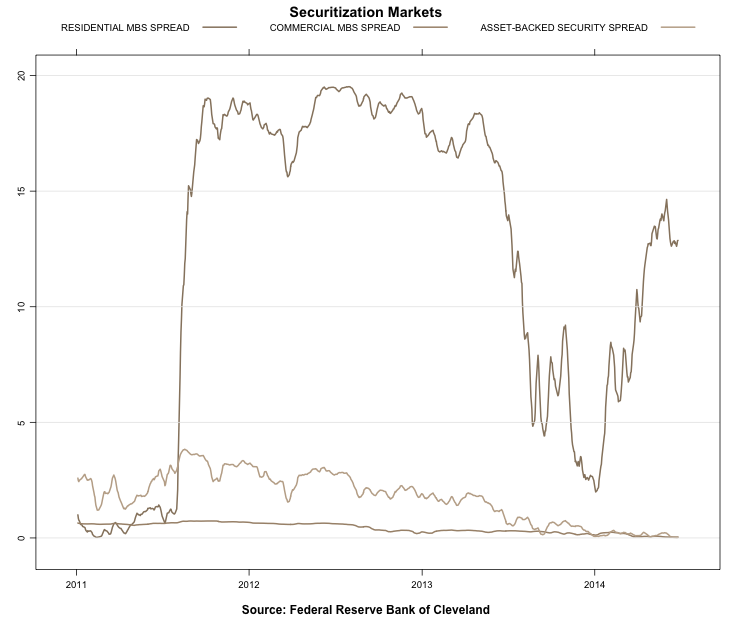 Several examples of plots are shown by category below. For details on each query and more example plots, please see the package vignette. 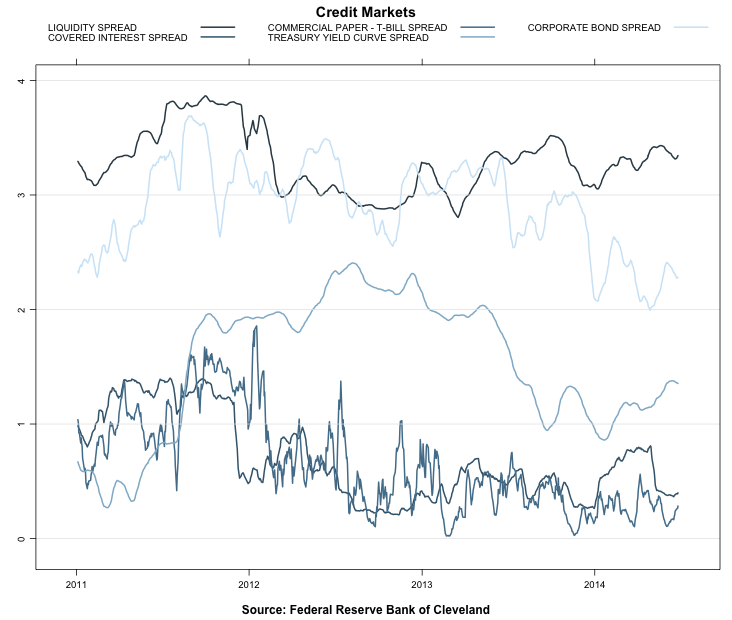 See Cleveland FRB for more details.